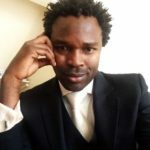 Home » National » Featured Scope » Z Allan Ntata’s Uncommon Sense: IS THE DPP’S ROMANCE WITH CHINA BENEFITTING MALAWI? 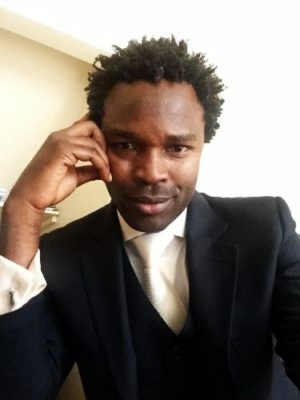 Z Allan Ntata’s Uncommon Sense: IS THE DPP’S ROMANCE WITH CHINA BENEFITTING MALAWI? 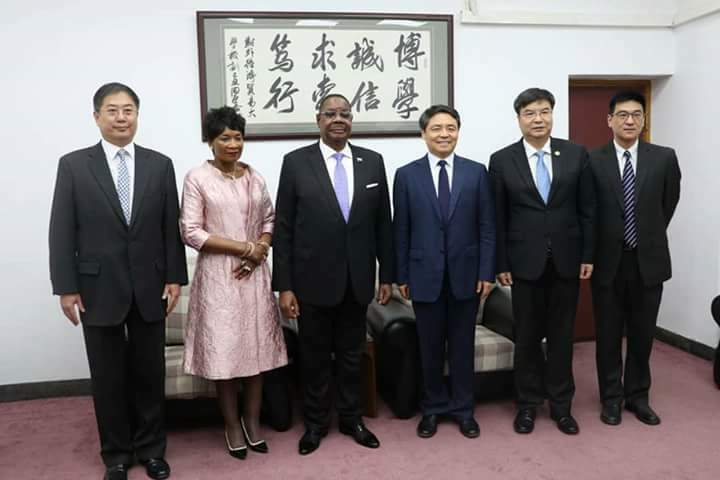 Pictures of President Peter Mutharika living it large in China, rubbing shoulders with senior Chinese government officials and generally carrying the Malawian torch at the China Africa Summit are meant to impress us that Mutharika is doing well as a leader. These are in fact propaganda pictures. 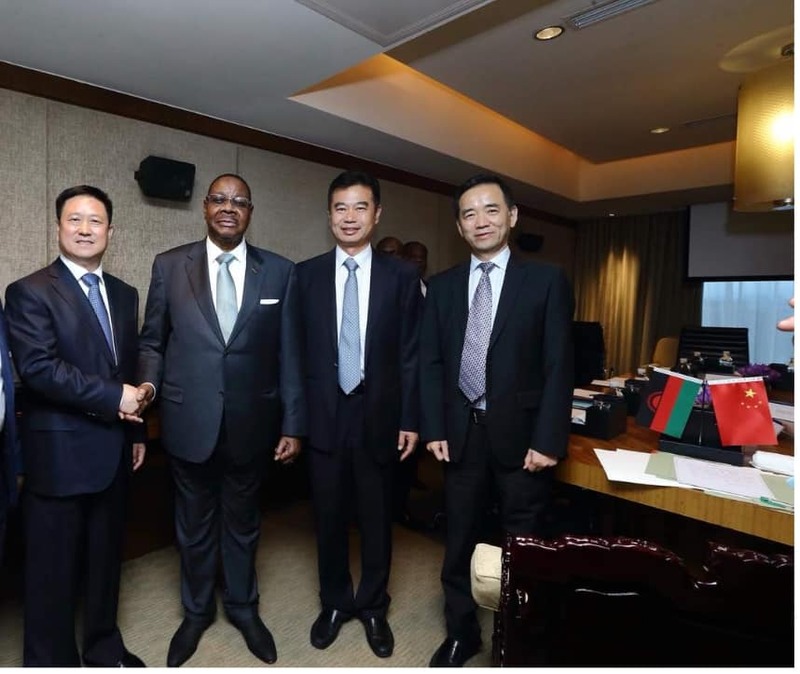 Their sole purpose is to glorify Malawi’s bilateral relations with Beijing and make us all feel happy that more Chinese aid dollars will be making their way to Malawi to help our desperately poor country. After over 10 years of Chinese Aid, the question must be asked. Is this DPP romance with China Benefitting this country? How are the poor and the vulnerable of this country benefiting from the Influx of Chinese influence? Is Chinese aid not just enriching a few individuals and helping them cling to the very power they use to oppress the masses? A growing number of developing countries receive billions of dollars a year in assistance, loans, and investments from China. At the 2018 China Africa Summit, Beijing has committed $100 billion to African nations. In his speech there Mutharika could not run out of adorative expressions to praise Chinese benevolence. He almost waxed lyrical. President Prof. Arthur Peter Mutharika Wednesday met the Executive Management of NORICO, an investment group involved in Agriculture, Mining and Infrastructure development. As Beijing’s levels of foreign assistance swell and its relationship deepens with countries across Africa, Asia and Latin America, a key question emerges: What impact are investments by an opaque and repressive superpower having on governance standards in the developing world? Findings from a Freedom House analysis, “Countries at the Crossroads,” point to the challenges that many of these recipient countries confront as they struggle to build more transparent and accountable systems. Fighting corruption and safeguarding freedom of expression and assembly are proving especially difficult. The dark side of Beijing’s engagement, with its non-transparent aid and implicit conditions, is tipping the balance in the wrong direction. To appreciate the “China effect” on developing countries, it is essential to understand the methods Beijing is using to exert influence and warp incentives for accountable governance. First, as international financial institutions and donor organizations seek to encourage stronger governance norms, aid from China has become an alternate source of funds. Recipient governments use these as a bargaining chip to defer measures that strengthen transparency and rule of law, especially those that could challenge elite power. It seems to me that because buoyed by the prospects of Chinese Aid, rather than combating corruption and implementing sorely needed reforms to our governance framework and our public service delivery systems, President Mutharika will be under no pressure at all to effect reform and the government will continue to shrink the space for alterative voices and independent institutions. In turn, western donors, fearful of losing influence, have been increasingly hesitant to penalize the regime for its failures. If you don’t believe it, just look at Guinea. In October 2010, the Guinean government announced a $7 billion deal with the China International Fund just as the international community was considering sanctions following a massacre of opposition supporters. The case underscores how even investments by a private entity, this one with ties to Beijing, can be manipulated to undermine efforts to support human rights standards. Additionally, while “no strings attached” is commonly used to describe China’s approach in the developing world, the reality is not quite so benign. A combination of subtle and not-so-subtle conditions typically accompanies this largesse. Included among these is pressure to muzzle voices critical of the Chinese government, often undermining basic freedoms of expression and assembly in these countries. In March 2009, the South African government barred the Dalai Lama’s attendance at a pre-World Cup peace conference at the instigation of China. And if you have not noticed, Chinese aid funds are frequently conditioned on being used to purchase goods from firms selected by Chinese officials without an open bidding process. In Namibia, anti-corruption agencies had to investigate suspected kickbacks in a deal involving security scanners purchased by the government from a company until headed by then President Hu Jintao’s son. Beijing’s response was to stonewall the investigations and activate its robust Internet censorship apparatus, sanitizing online references to the case Chinese citizens might stumble across. Observers such as the scholar Larry Diamond have identified countries that are semi-democratic, rather than autocracies, as the most promising ground for expanding the ranks of consolidated democracies globally. The patently negative aspects of the Chinese Communist Party’s developing world influence could deal a real blow to this aspiration. Findings from Freedom House’s global analysis of political rights and civil liberties put this phenomenon in perspective. Over the past five years countries with only some features of institutionalized democratic systems have slipped significantly — 57 countries within the “partly free” category have experienced declines, while only 38 improved. Beijing’s deepening involvement in these cases may generate a number of effects, some perhaps positive for short-term economic development. But the dark underbelly of the Chinese regime’s involvement — the opacity of its aid and the illiberal conditions that underpin it — means that over the long haul, incentives for strengthening accountable governance and basic human rights are being warped, or even reversed. And to bring the issue back home to Malawi and underscore it all, it must be observed that of all the structures that are the showcase of Chinese Aid in Malawi, perhaps only the roads can be said to be having a visible positive effect on the lives of the majority of Malawians. The open chequebook approach used by China has meant that the DPP administration has prioritised structures that bring political narrative rather than those that the country desperately needs. I am talking here about the fact that Chinese Aid in Malawi has built a 5-star hotel, Presidential villas, a university, a parliament building and a stadium. I find it difficult to see how the common Malawian’s life has been improved through these projects. Imagine if Chinese Aid had been used to build rail networks, new electricity generation dams and better water treatment facilities across the country! This being an election year, I wish to appeal to you my fellow Malawians to pay close attention to the DPP and what is tells us it will use Chinese Aid for. We are already as a country sliding down all the economic and good governance indicator lists. The least we can do is encourage further sliding by cheering when our leaders tell us they will build more stadiums (a football stadium in every district is the goal, I hear), and urban shopping malls and s and such elitist establishments. What these country needs is stable, 24-hour electricity, good water services, hospitals that actually have medicines and equipment in them, operational rail transport systems and growth and development in the districts and the rural sector in general. This country needs jobs (yes, 1 million job a year, if possible) and business opportunities for the youths that are presently being used and abused in political tussles. If China is a real friend of Malawi, perhaps it is time it started helping our leaders formulate their priorities properly, because so far, the DPP’s romance with China has not really benefitted Malawi in any effective way. In the final analysis, we must remember that Chinese Aid is not free money. It is a debt for which current and future generations will have to. Its use must not be for mere political gain, but with prudence and in areas that benefit the whole of Malawi, especially the poor and most vulnerable among us.